This little RV Park wasn’t even on my radar until a place I booked for 2 weeks turned out to be a place I didn’t want to stay (see previous blog). So out came the campground apps, google maps, and some research. It only has 6 FHU (full hook up) sites and 6 sites with electricity and water but was on the way and convenient for me. Plus, I had always wanted to see the Air museum and thought this would be a great opportunity. Since I was just passing through, I called about dry spots and he stated there were plenty and to come on down. When I got there, there was one FHU available and I decided to go for it and paid for 3 nights ($35.00 per night). I ended up staying for 10 days all together, that’s how much I liked it here. I think the only reason I left was because I had an appointment 300 miles away. Non-sewer sites are $25 a day with one dump per day allowed. There aren’t many amenities and the RV Park isn’t even fenced in but it’s on a decommissioned Air Force Base. What I found were lots of empty fields everywhere, very little traffic, and a really pleasant place to spend some time. Besides FHU sites, there is a campground host on site. There are two sewer dump stations with a $5 fee for non-campers and this area got used very heavily while I was there. At least 2 or 3 motorhomes or travel trailers stopped here daily to dump and then be on their way. Easy access and easy to use. What I liked best was a little note on the rules that said dogs don’t need to be leashed as long as they are under control. Wooeee. My dogs had so much fun running around off leash in the empty fields. They don’t go very far and I made sure there were no other dogs, cars, or people around and I was right with them with their leashes but they got to stretch their legs a little, which doesn’t happen a lot with our traveling. 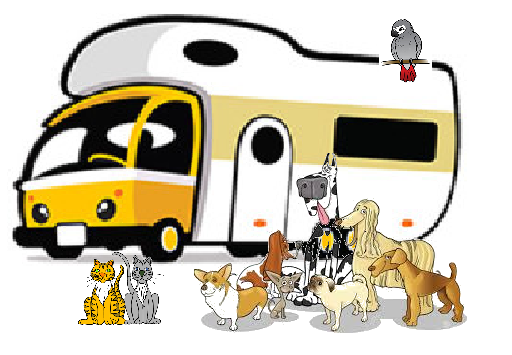 This RV park is at the back end of the Castle Air Museum and there is an area that is fenced in behind the museum but open to the campers that is perfect to let the dogs walk around. It has some airplane parts storage but mostly just open field and they keep the grass and weeds cut. There is a colony of feral cats but the campground host said they were in process of TNR (trap, neuter, return) and had gotten two of the males. They were still trying to capture the dominant female. The kittens were cute and didn’t impede on our visit at all. There was lots of bird life and I identified a new to me bird species — European Collared Dove. Campers get a free month long pass to the Air Museum ($10 entry fee) and the entrance is about 1/2 mile from the RV Park. However, you can enjoy all the airplanes through the fence without walking around to the museum entrance.